We can Clean and Test your old-style port injectors with a Before and After comparison, Also we replace your seals, filter, pintle caps as needed. $35 per injector - We only clean and test full sets. 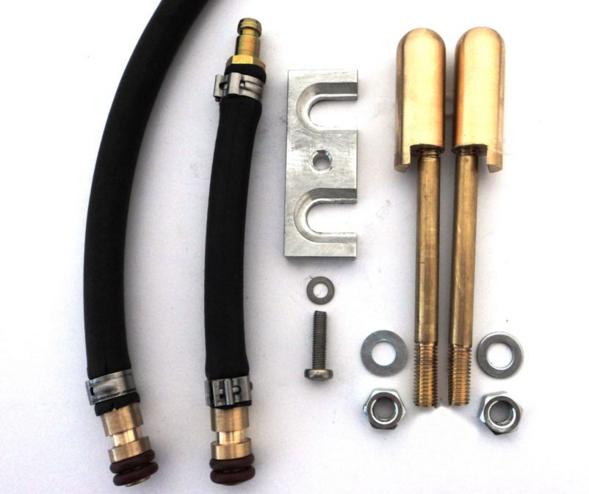 We Clean and Test your GDI-style injectors and replace filters with Stainless Steel. $45 per injector - We only clean and test full sets. We Clean and Test your Piezo-style injectors with a Before and After comparison. $300 to service a set of 6 injectors. If you have any question concerning deliveries, pick-ups or prices, please don't hesitate to contact us. We will help find the best solution for you. 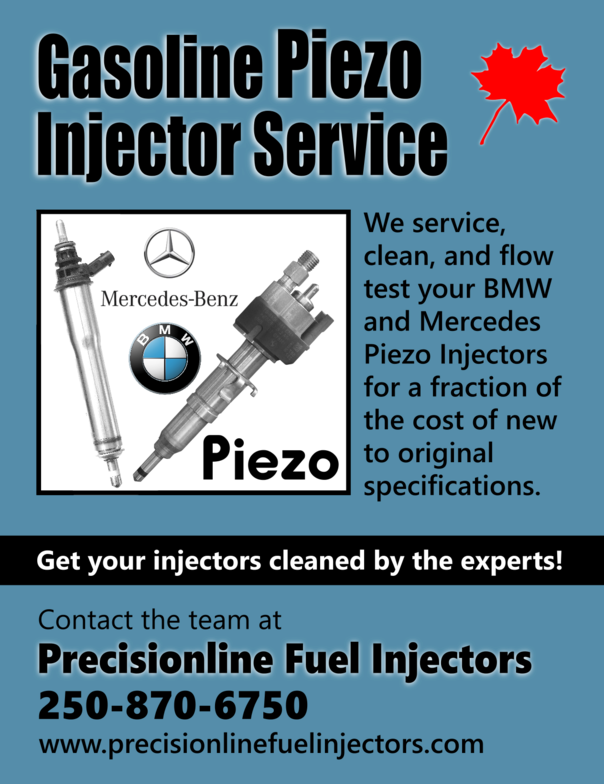 At Precisionline Fuel Injectors, we take care to provide our customers high quality services personalized for their unique needs. We are available to ultrasonically clean and flow-match your set of injectors to the preferred specs. When we get a set of injectors in our workshop to clean, Tom removes all the old O rings, Filter screens and Ultrasonically cleans the injectors. They are attached to a harness that pulsates the pintle while the Ultrasound flushes the varnish and debris up and out of each injector. Our patented Bioclean Fluid in the Ultrasonic Bath Turns from light blue to Black with all the impurities that are removed during this process. Tom then replaces the components with brand new parts, places the injectors on the test rail and attached to the harness watches the spray patterns and flow to make sure each injector is flowing to manufacturers' standards. The test tubes should be even all along for best fuel economy, less emissions and better driveability. Your onboard automotive computer will read these injectors as perfect and adjust the fuel metering accordingly thus saving you gasoline. 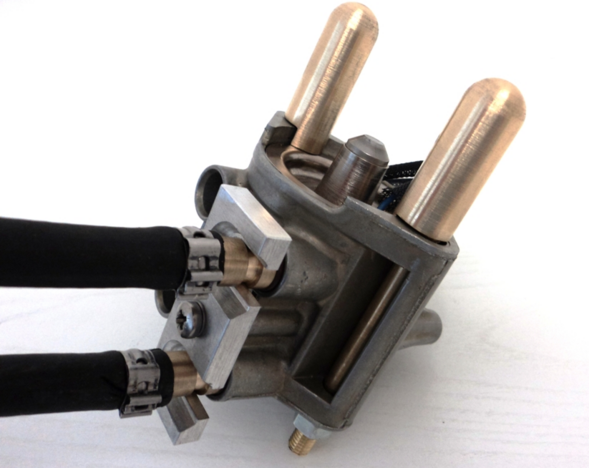 If one of your injectors has a "weak spring" it will show up in this stage of the testing and we can replace it with one of our remanufactured "Precisionline Fuel Injectors". 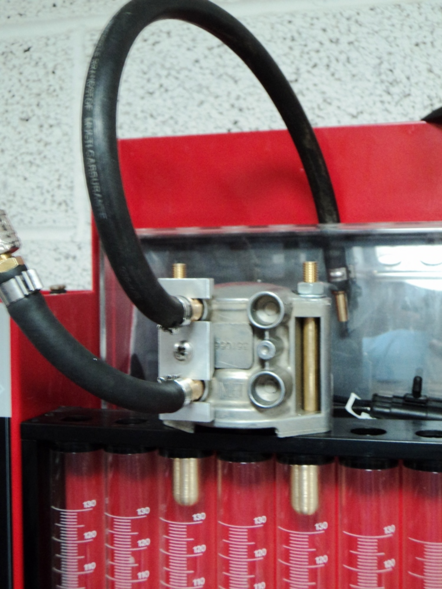 We have the equipment to Clean and Test E-Tec and Ficht style injectors with a Before and After comparison.